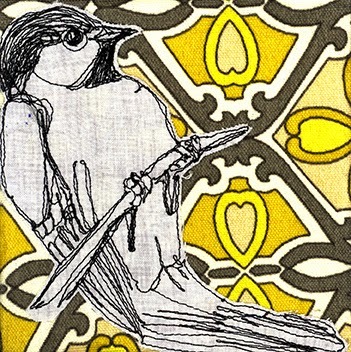 This is my second year participating in the fun-a-day project in which you work on project or art series for the entire month of January, specifically every day. 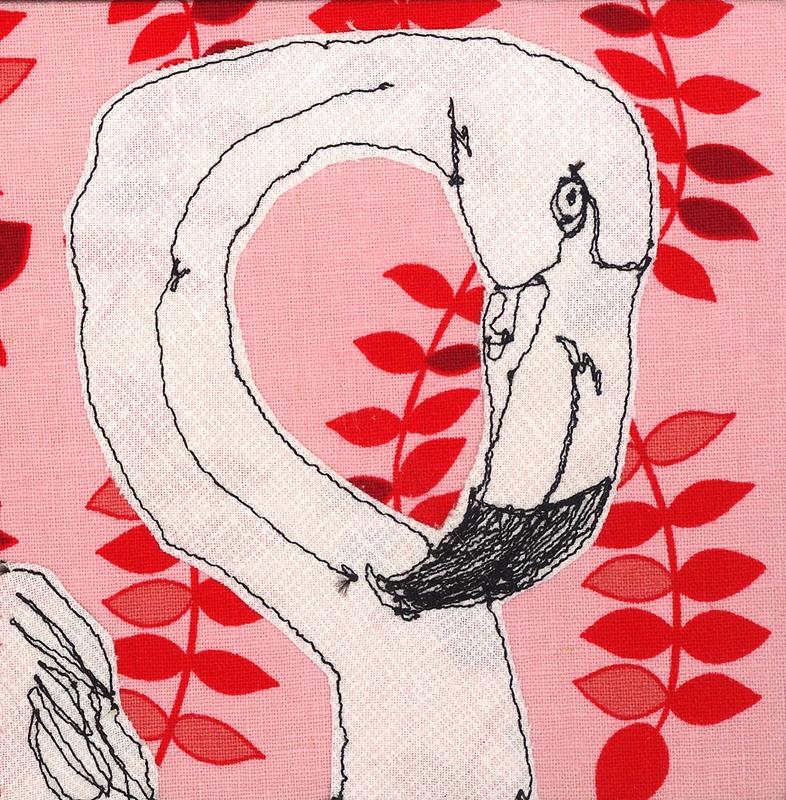 Last year I did self-portraits which lead in to a very deep month of exploration of emotions since my Dad was in the hospital for most of the month until his death on the 29th of the month. 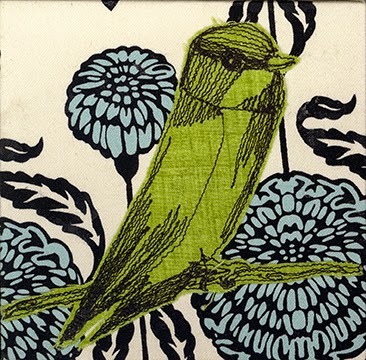 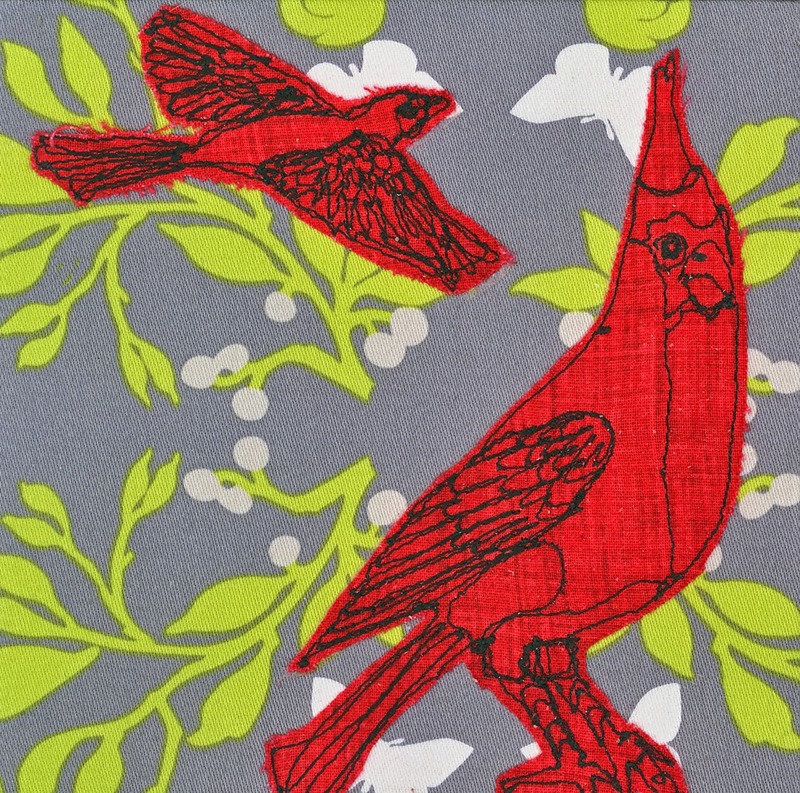 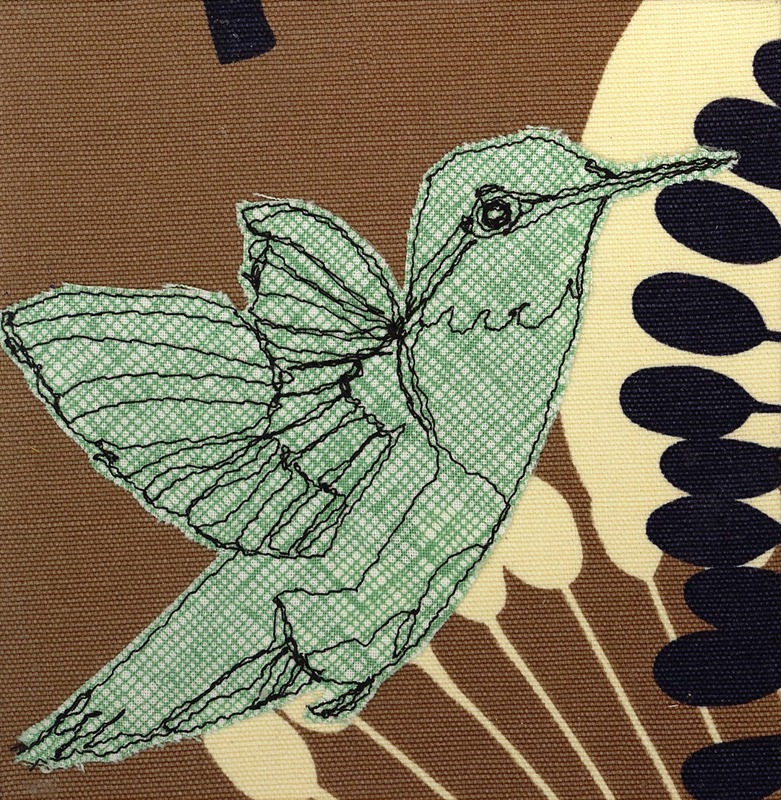 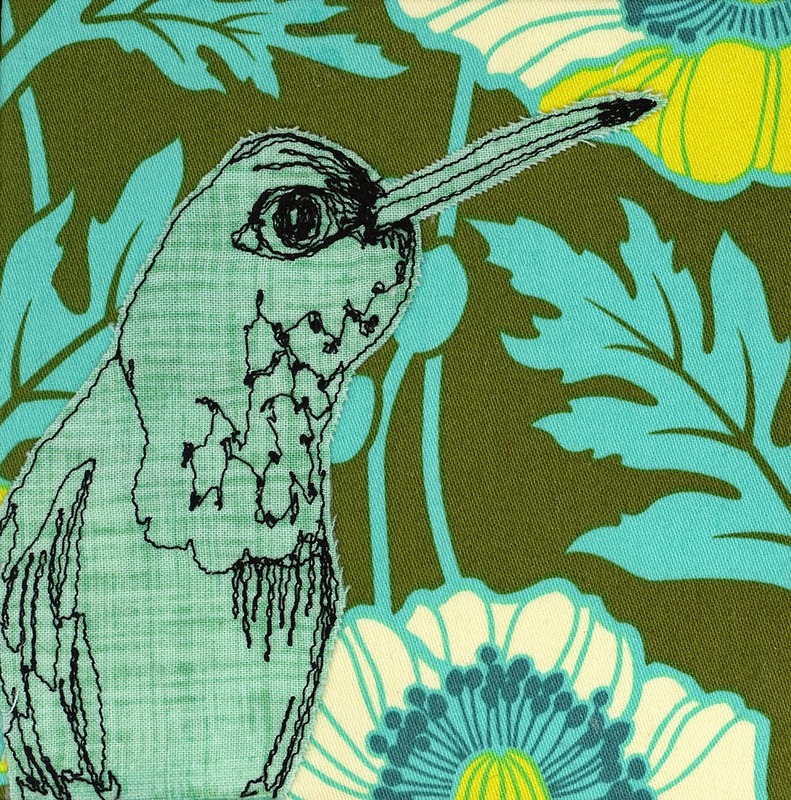 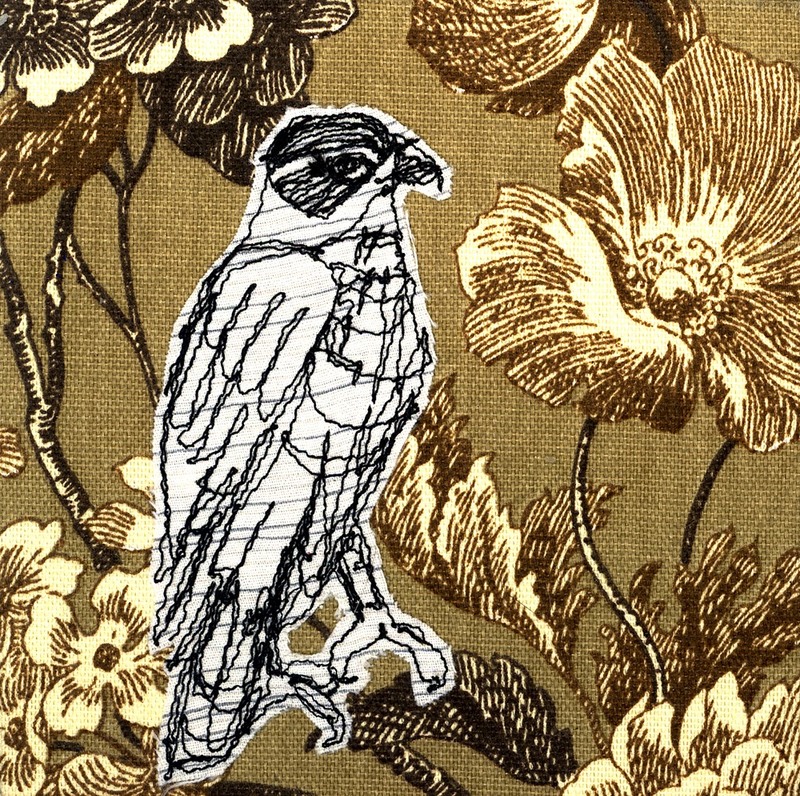 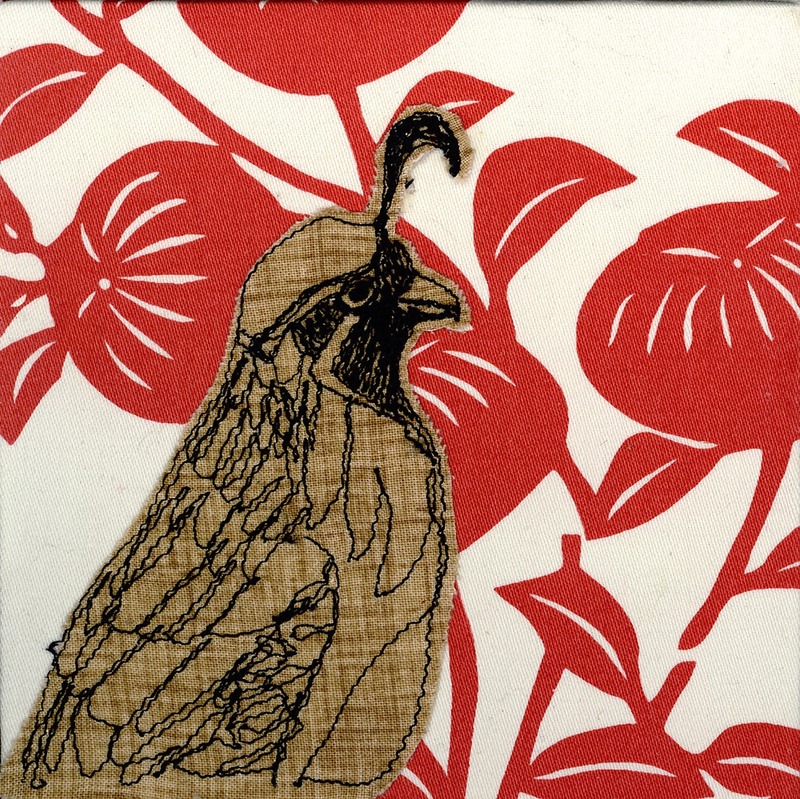 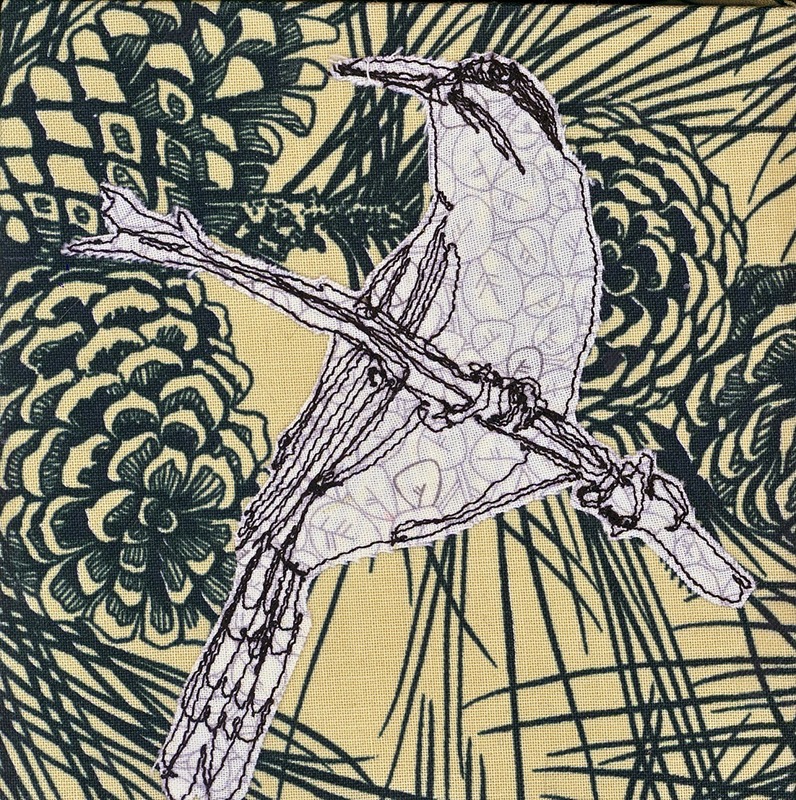 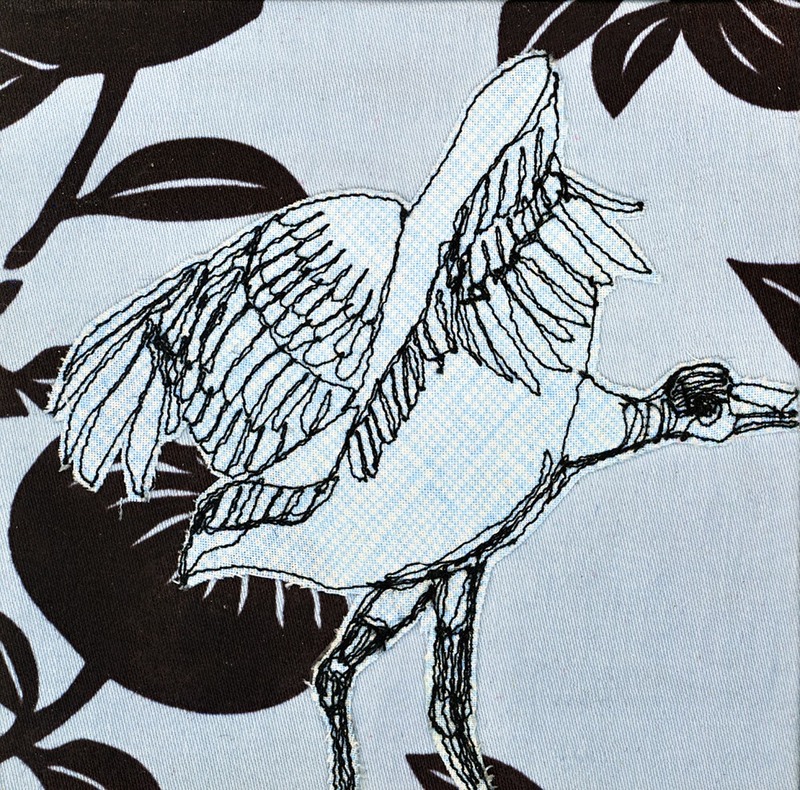 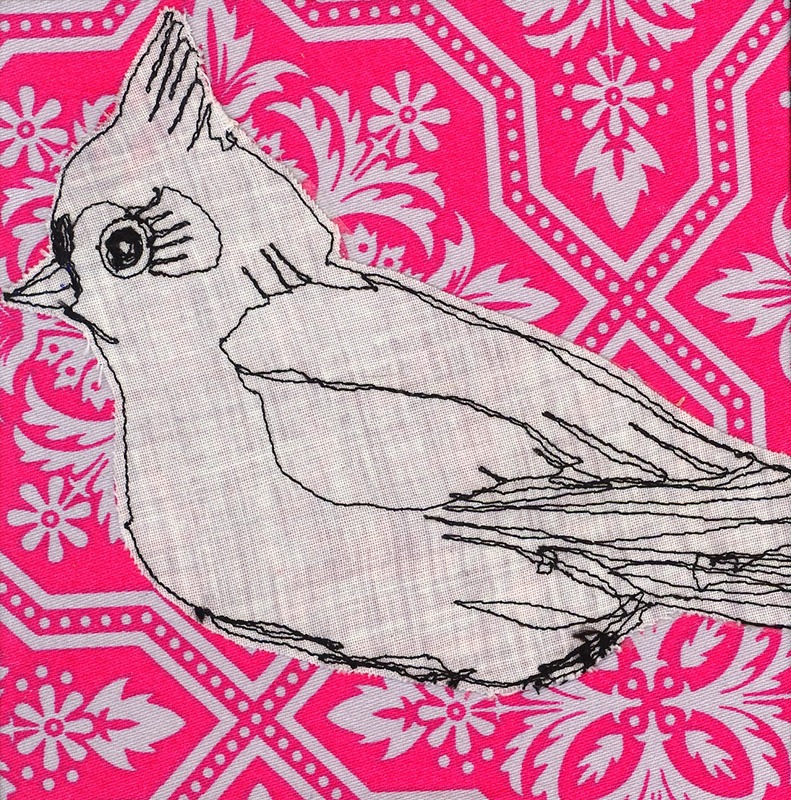 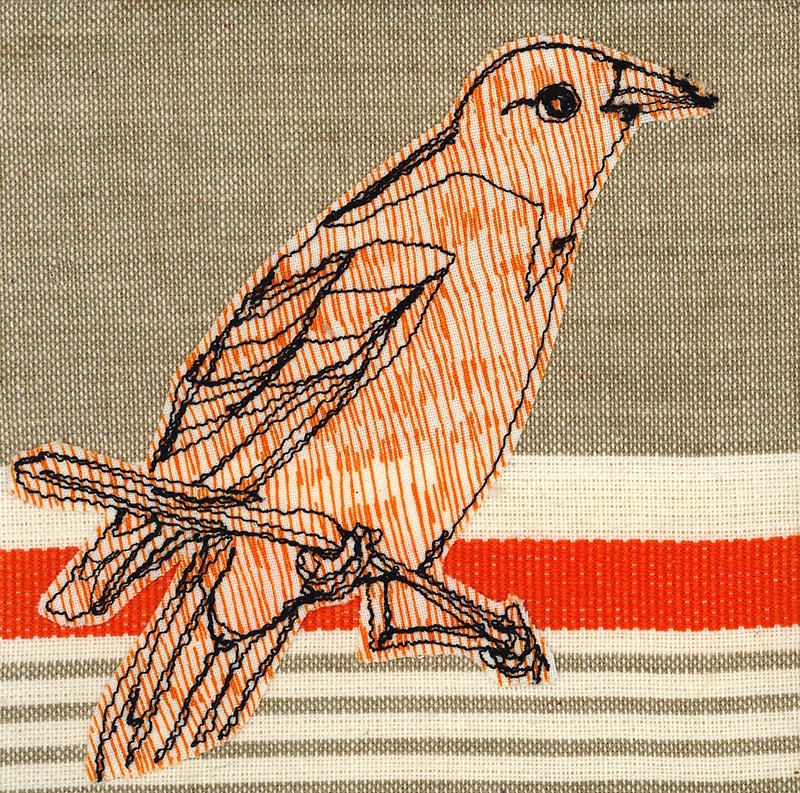 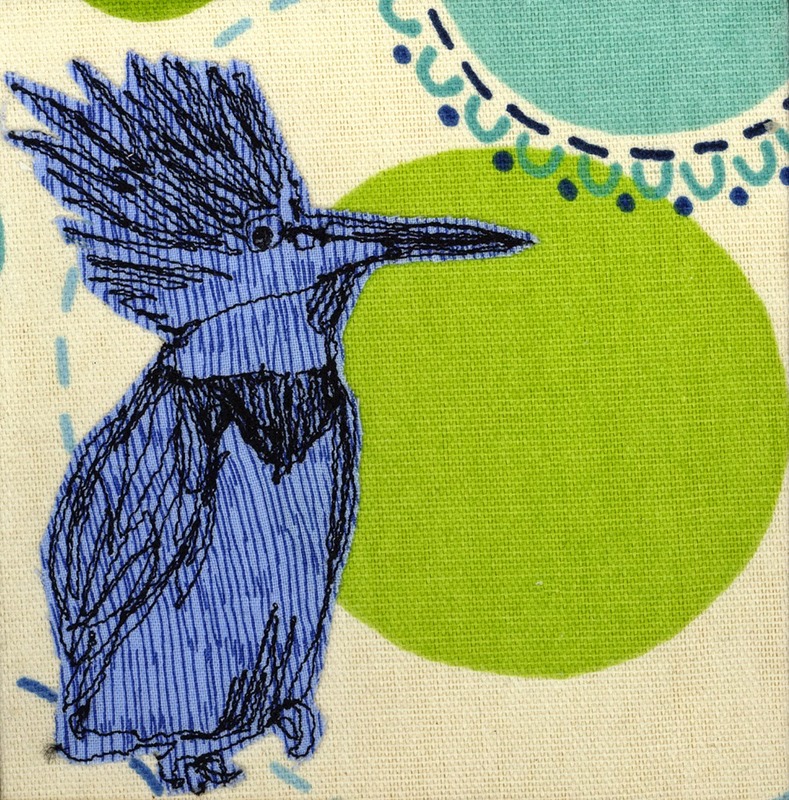 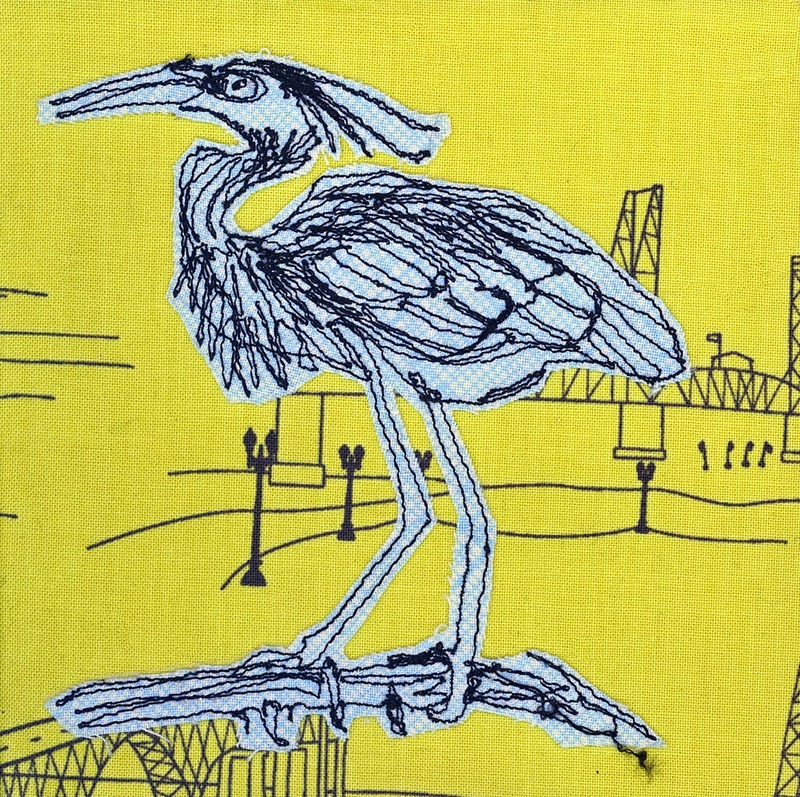 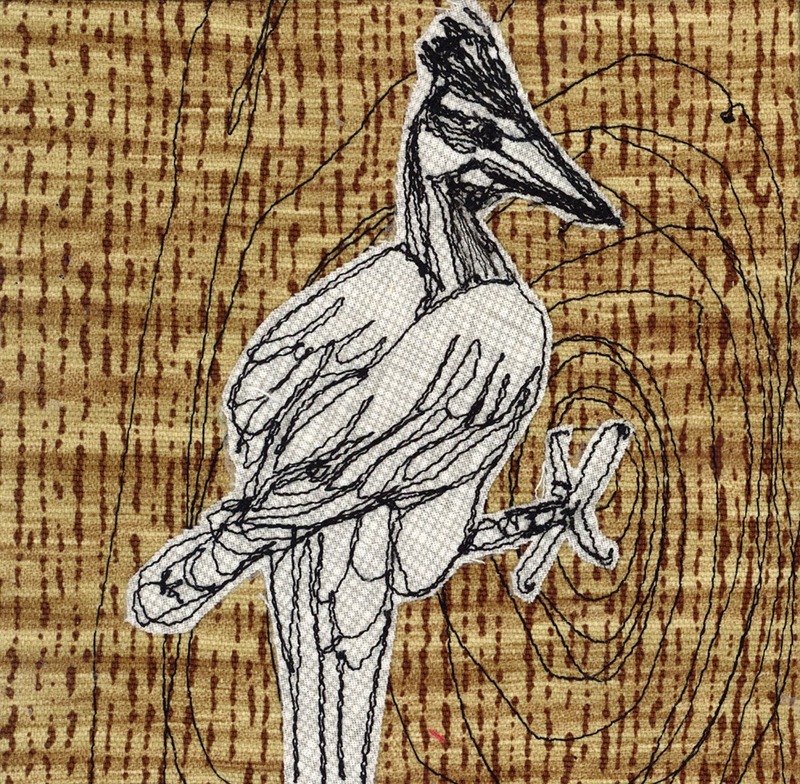 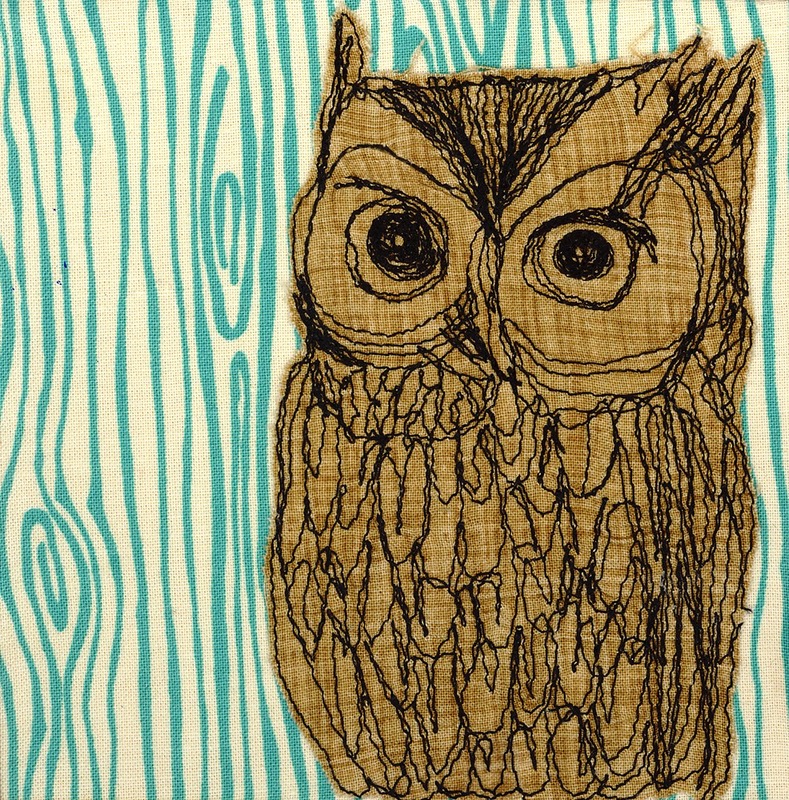 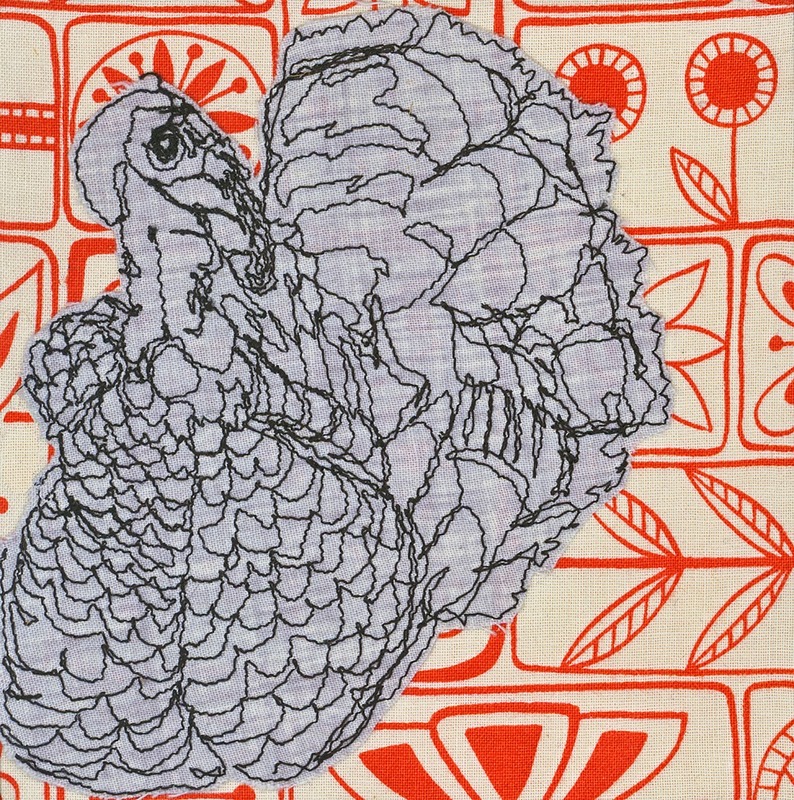 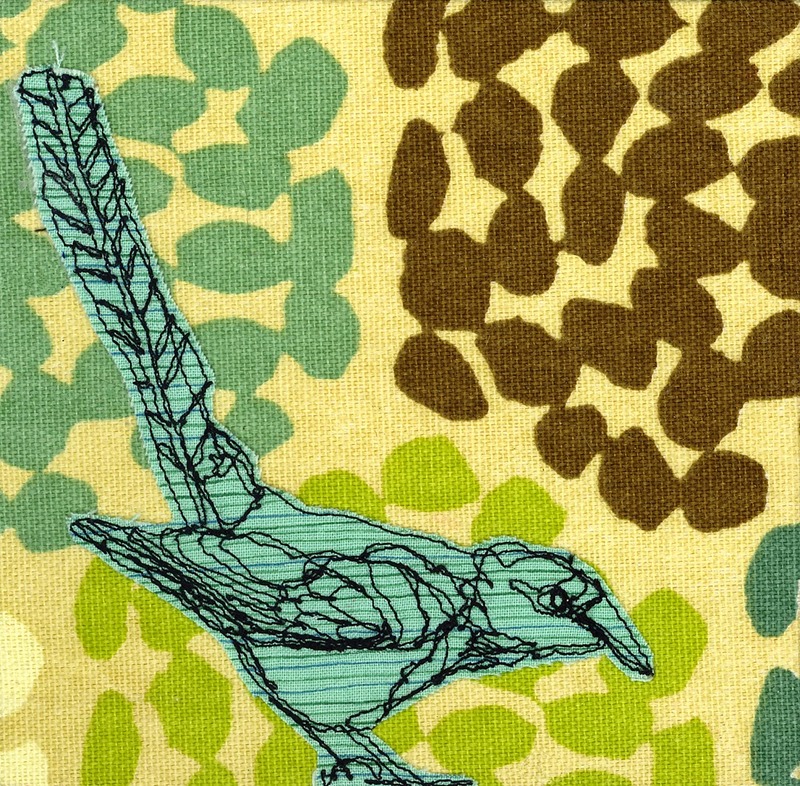 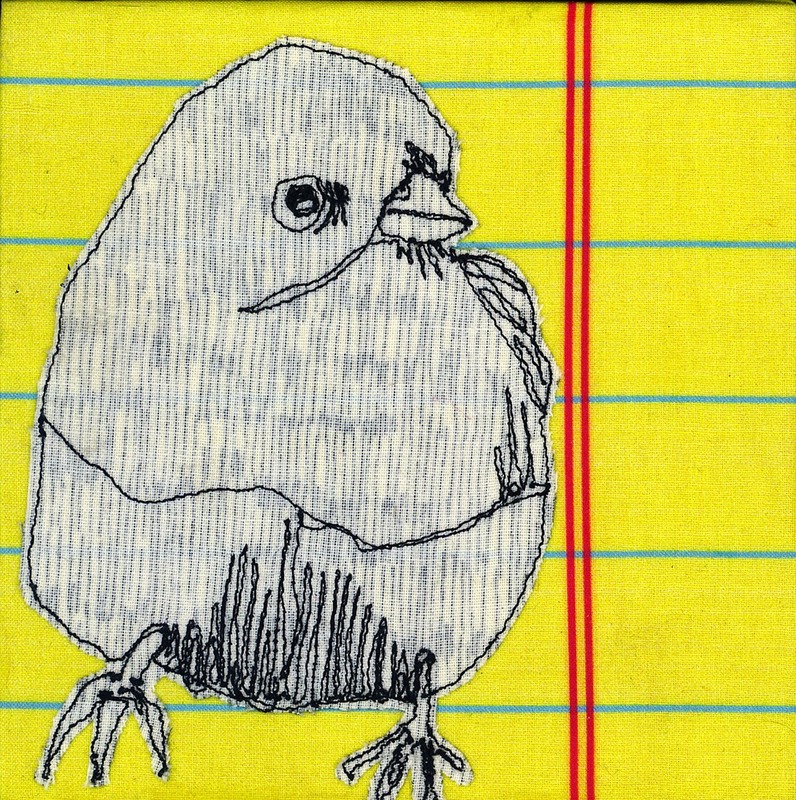 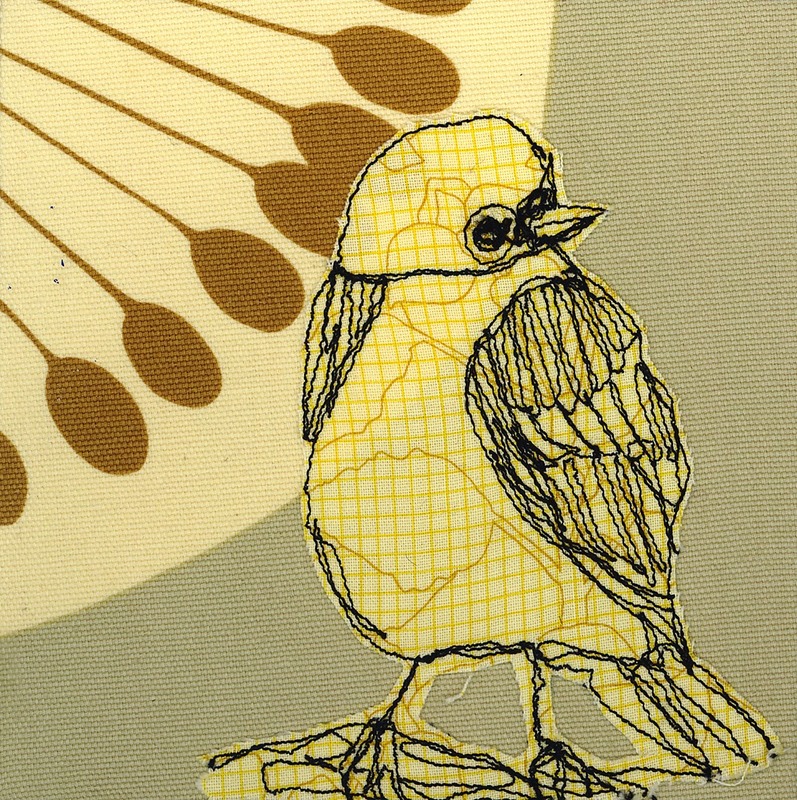 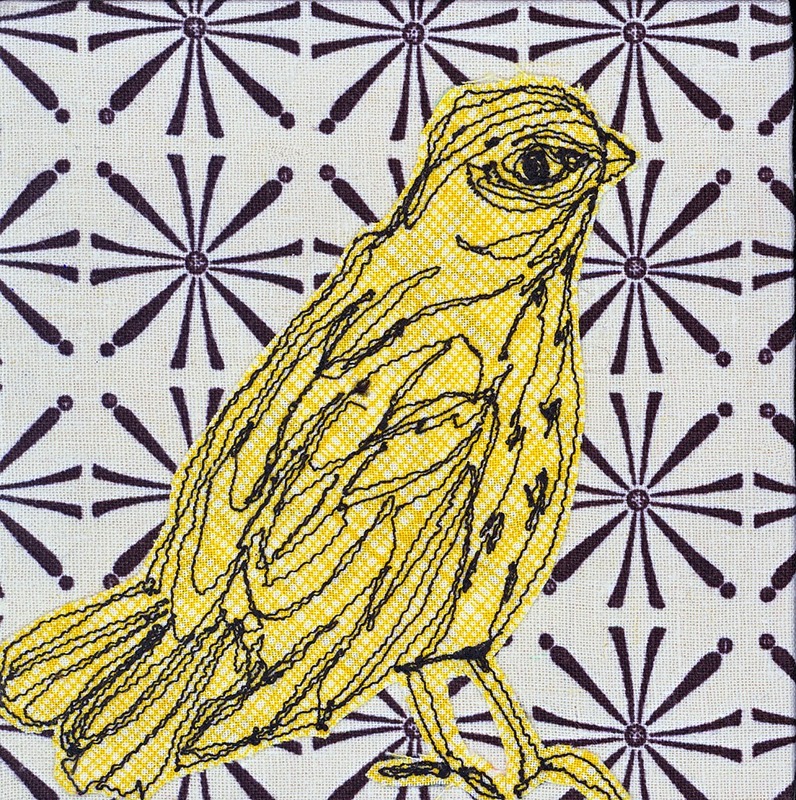 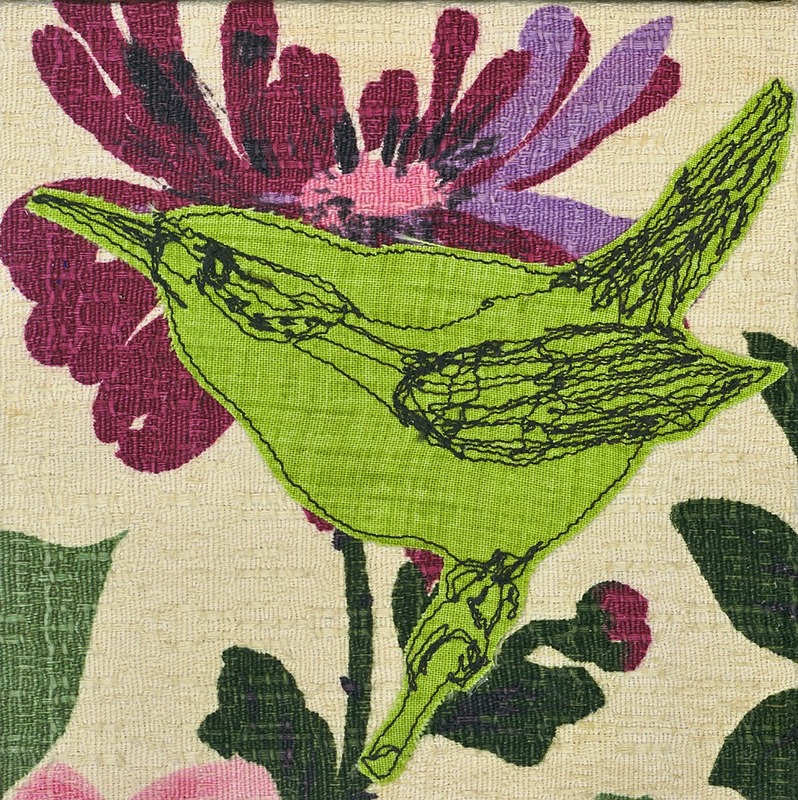 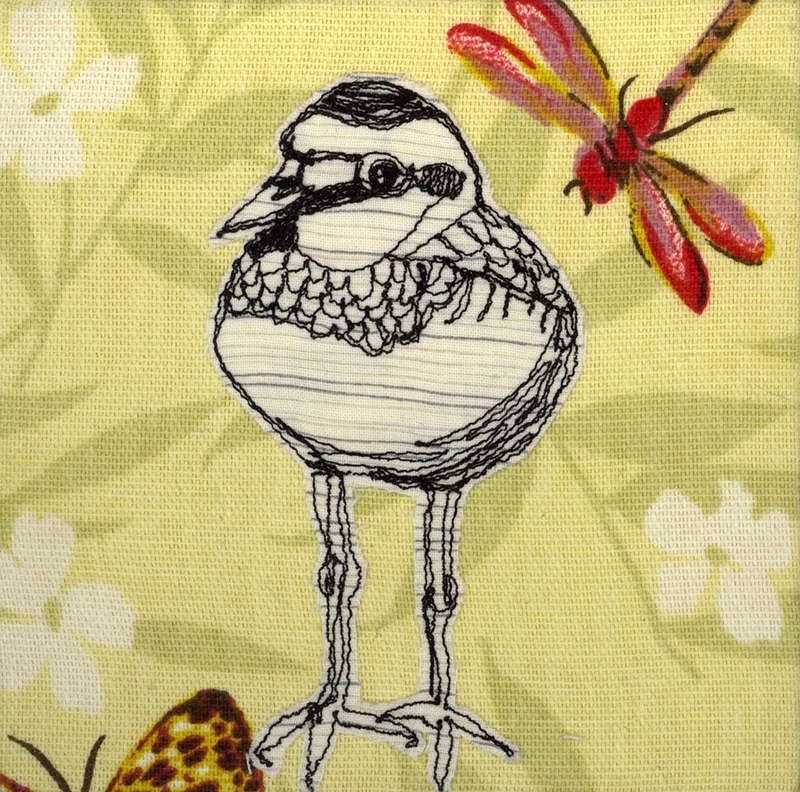 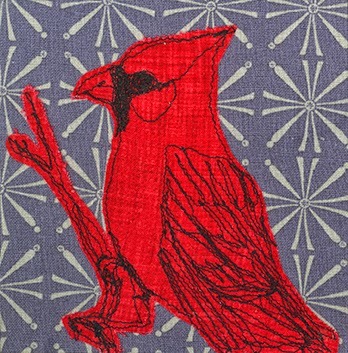 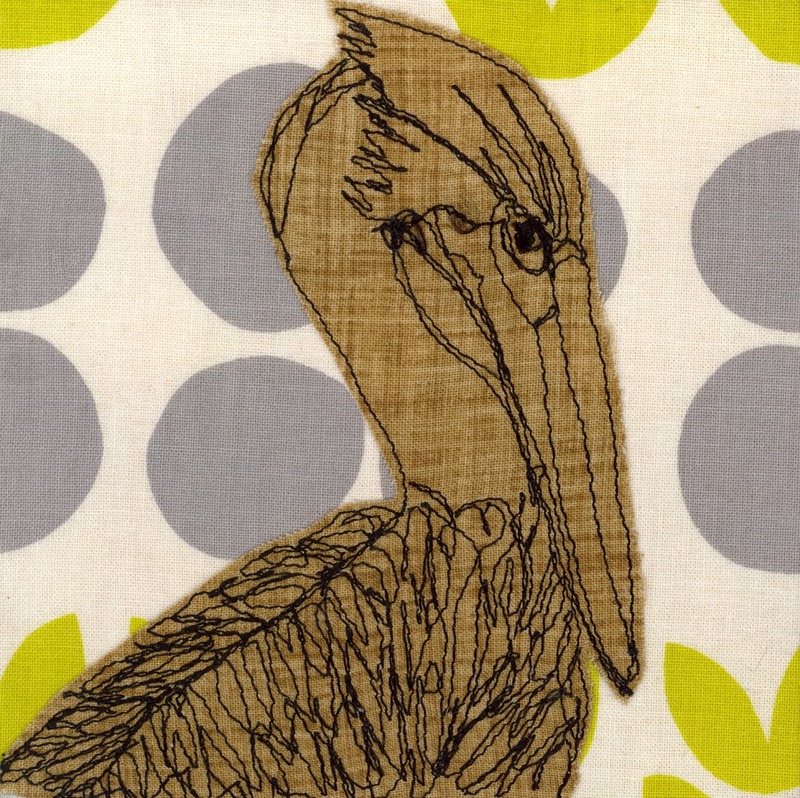 This year, I'm going a bit more towards strengthening my drawing on my sewing machine and bird theme. 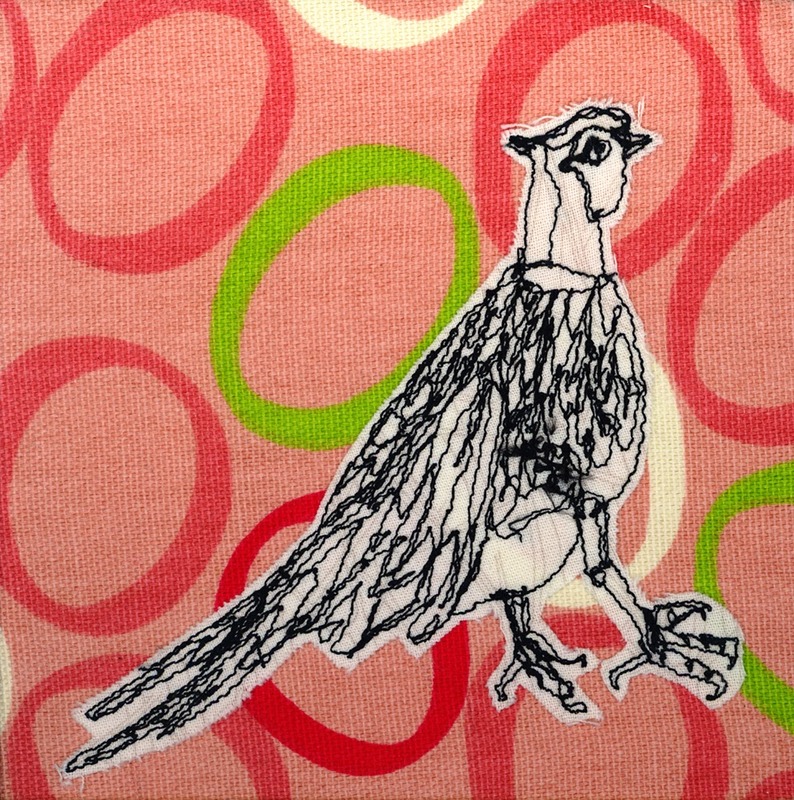 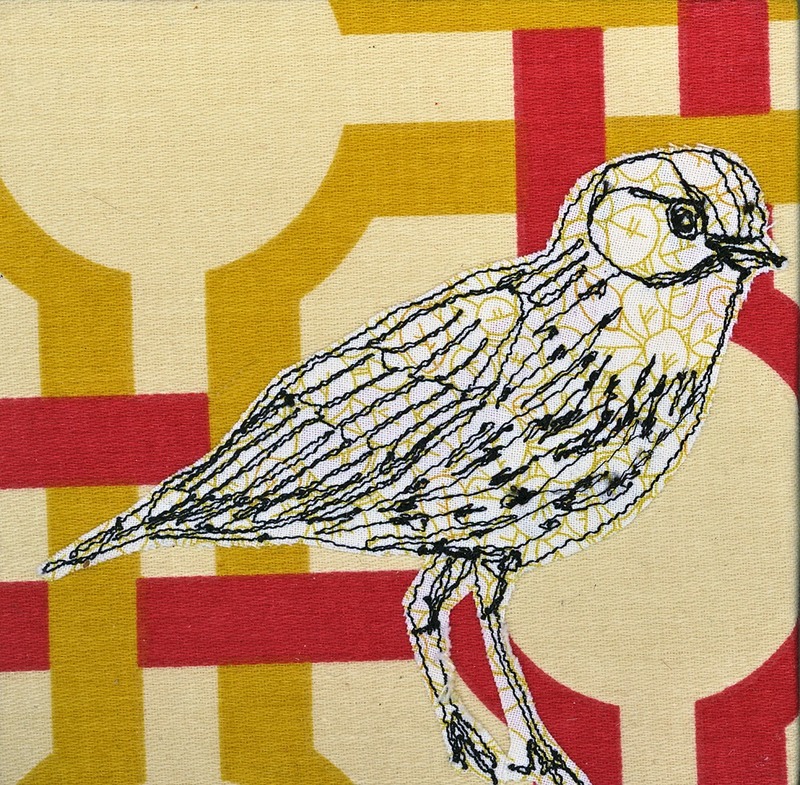 So I drew with my sewing machine, freehand, a new bird everyday and appliqued it on a patterned background. 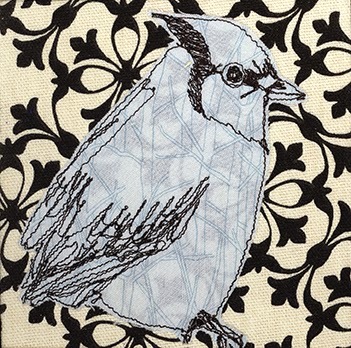 All birds are then mod podged onto a 5" square wooden canvas. 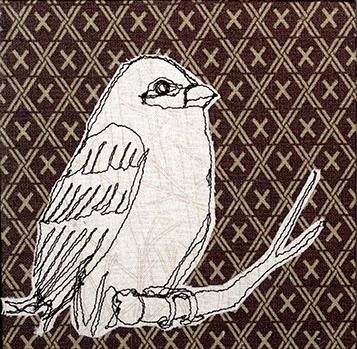 Today, I made labels that will be glued on the back that will have the name and a photograph of the bird . 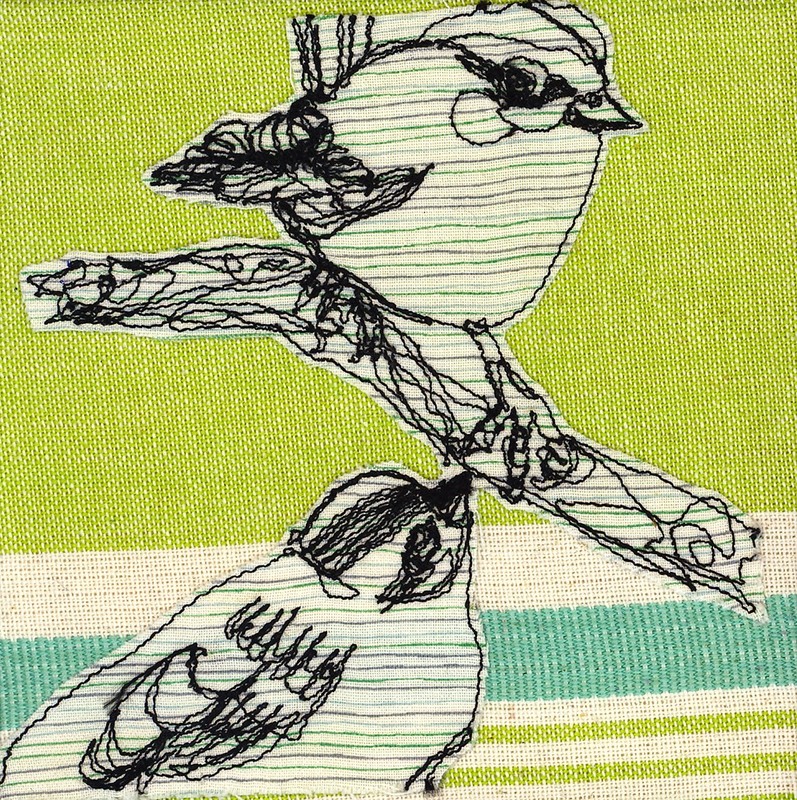 Once again, neglecting my blog, I am going to revived it with posting my birdies. 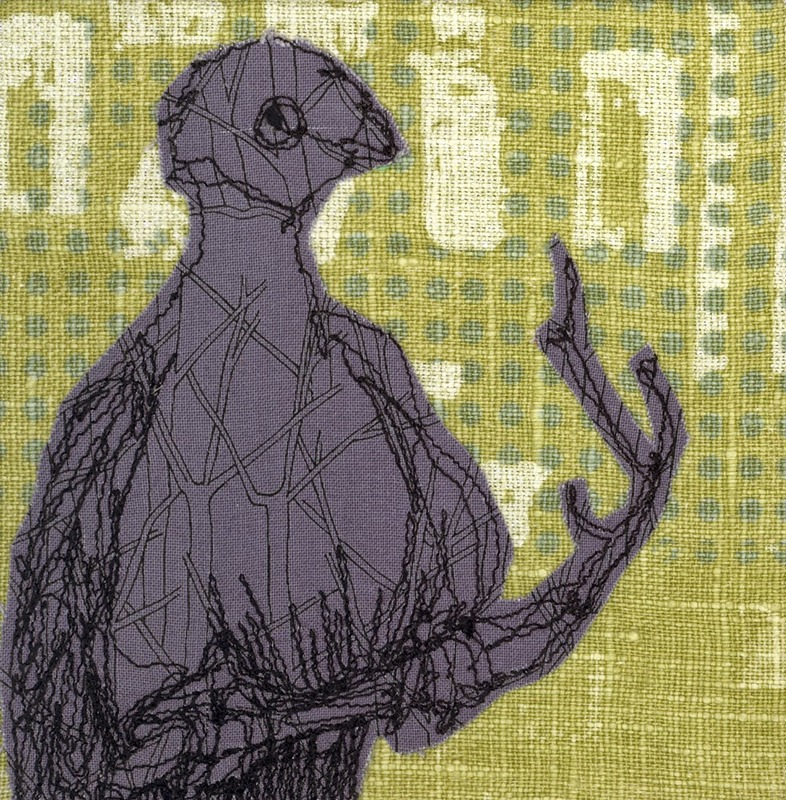 The exhibit is not until the first Thursday of March.